This entry was posted in Canada Canada Immigration and tagged Canada Immigration Canada Permanent Residency Canada PNP Canada PR Canada provincial nominee program Migrate to Canada on August 14, 2014 by Blog Author. Want to obtain Canada PR? Then, why don’t you go for Canada PNP (Canada Provincial Nominee Program)? Canada is a prosperous country with a balanced economy. It welcomes overseas nationals through varied immigration programs, because of which people allures towards Canada immigration. 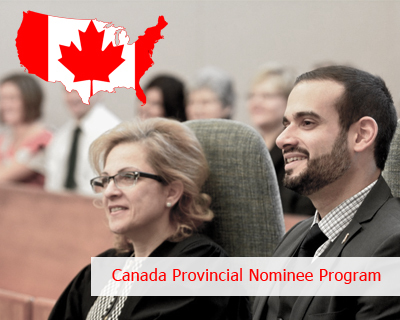 Overseas citizens who are willing to obtain Canada PR must consider Provincial Nominee Program. This Canada immigration program enables investment based immigration, employment based, and immigration in other circumstances. The Canada Provincial Nominee Program is structured to encourage skilled employees to settle in Canada provinces. Canada PNP permits provinces to nominate overseas nationals who desire to migrate to Canada and who are fascinated to reside in a specific province. Provincial Nomination program is a significant and accelerated choice to obtain Canada Permanent Residency. Individuals who are migrating to Canada under Canada PNP are offered with Canada PR status and finally get a chance to apply for Canadian citizenship. Provincial Nomination Schemes are not provided by all provinces. However, most of the provinces have contract with Canadian Government that permits to nominate migrants to settle in province. In order to apply, the following Canada Provincial Nominee Program requirements must be fulfilled. A valid employment offer from Canadian company, in the respective province where the migrant wants to reside. Nomination certificate if applicants have a relative residing in the particular province. Employment offer must be accepted by the appropriate provincial government. Evidence must be produce that shows applicants genuine interest to work and reside in the province. Enough finance to support themselves and dependents in Canada. Applicants after receiving a nomination from the respective province must apply for Canada PR through Citizenship and Immigration Canada (CIC). Canada Provincial Nominee Program visa applicants get more preference than other visa applicants through Citizenship and Immigration Canada (CIC). The processing time for Canada Provincial Nominee Program is not similar for all visa applicants. It is subjected to change and most of the times it depends on the applicants’ profile. If you are interested to apply this program, fill out MoreVisas Enquiry form, And to get more details please follow us @ Facebook, Google+, LinkedIn. I’m interested in migrating to Canada,wouldnt mind you putting me through. ← How to migrate to UK on UK Student Visa ?